Adult Executive Chairs Heather Shultz, Carolyn Gazda and Christy Page. Each committee of the NJAS is responsible for arranging committee meetings and carrying out assigned task set forth by the executive committee. Each committee will consist of juniors and adults working together to achieve these goals. Each committee should report to their assigned executive representative. The following is a list of junior and adult committee chairs set in place. If you would like to serve on a specific committee, please contact the committee chair directly or the executive committee member. It is encouraged to be involved with a committee where you can share your talents and skills. Fund Raising or Finance Committee – which includes, but is not limited to: program ad sales, special fund raising projects, gathering general donations and corporate sponsorship, coordinates the collection of the funds generated and turns them over to the treasurer for deposit. Program Sales: Solicit advertising in the official show program; coordinate collection of advertising dollars; work with Angus Journal staff on the preparation of the program ads. Other Fund Raising: Coordinate miscellaneous fundraising efforts (i.e., auctions, raffles, sales, sponsorships, & donations). Trade Show: this many times functions as a separate committee, but the objective of the trade show is to generate $ to support the show. This committee would oversee the selling, set-up and activities of the tradeshow area. The trade show includes both inside and outside exhibits and vendors. Grounds Committee – this committee assists the American Angus Association staff with facility layout, preparation & stalling assignments. They help coordinate security needs and work with the facilities electrician to deal with electrical problems. This committee oversees bedding for the barns and tie-outs; works to secure vendor for feed, hay & straw; coordinates any need for rolled roofing; oversees the wash rack area; coordinates daily & final cleanup efforts as needed. This committee works to make sure enough tie space is available in the barns and in the tie-out areas. This committee coordinates trailer and vehicle parking and any other details dealing with the grounds & facilities. The grounds committee is often in charge of the show ring details other than decorations (i.e. clean up throughout the show, daily maintenance and refreshing of the ring at the conclusion of the activities each day). Decorating Committee – coordinates with all the committee chairman to give the grounds, show ring, barns, hospitality area, hotel lobby, meeting rooms, and photo backdrop area an attractive appearance coordinating with and using the selected theme and logo (the photo backdrops must meet the American Angus Association guidelines). Daily Hospitality Committee – solicits & coordinates the daily hospitality area, providing an area for relaxation and rejuvenation for children, youth and adults. This includes the coordination, preparation and serving of snacks, drinks and other refreshments. It also includes the creation and maintenance of the children’s area and children’s activities. In addition the committee coordinates & schedules volunteers for this area. Adult & Junior Social Committee – coordinates and facilitates such activities as pool party, junior dance, games or activities. Something is usually held following opening ceremonies on the first night of the show and following the awards function on the last night of the show. Welcoming Committee – this committee works to assist with the arrival of the people, cattle and trailers to the show grounds. They are the first lines of welcome often greeting the weary travelers with cold drinks and welcome smile and assistance in finding their stalls and unloading their cattle and equipment. This is an all night job on the arrival nights for the show. This committee needs to coordinate with the grounds committee for the layout of the barns and facilities. This committee also works to provide local information on where such things as fast food, grocery stores, Wal-mart, etc. can be located and providing this information to those arriving. This committee puts together a list and makes contact to arrange for preferred service with doctors, dentists, optometrists, auto repair & dealerships, dry cleaners, etc. This information is normally printed in the show programs and provided in the show office. Educational Activities Committee – arrange, coordinate and facilitate tours, workshops and/or contests where appropriate; assist the junior activities director and junior board with securing judges for the contests, establishing the location for the contests to be held and for the displays for such things as the scrapbooks, posters, photographs; works with gifts committee to secure appreciation gifts for the contest judges; assist with the coordination of the contests where appropriate. Queens Committee - contact state/regional queens and princesses; invite them to participate and coordinate their schedules with awards presentations; special social function and meeting for participating royalty, chaperons, Miss American Angus the and American Angus Auxiliary officers. This committee coordinates all activities in association with the Queens Reception; including, but not limited to, menu, invitations, gifts, decorations, etc. Opening Ceremonies Committee - make necessary plans for introducing VIP's and officially welcoming exhibitors and spectators at the beginning of the show; provides information for opening ceremonies page in the show program; oversees and coordinates all details in regards to the opening ceremonies. Food & Meals Committee - Work with hospitality and queens committees, plus American Angus Association junior activities department to coordinate all planned meals & snacks, as well as food and beverage concessions; schedule and organize meals, purchase, secure donations, and get all supplies need for preparation and serving the meals. This committee will work with caterers, solicit volunteers, help set-up, cleanup and serve the meals. This committee will be totally responsible for anything resembling meals, food delivery, food preparation or food storage. Work with other state associations that may desire to assist with or provide meals. Gifts & Promotion Committee - acquisition and distribution of participant gifts to all active show participants (this includes, cattle exhibitors, showmanship participants, contest participants and VIP's); coordination and distribution of the exhibitors “goodie” bag; secure class winner awards; work with education committee to secure contest judges appreciation gifts. In addition, this committee is responsible for in-state publicity (i.e. radio, TV, newspapers, magazines); solicit proclamation from governor; coordinate "personal contact" invitations to potential media participants. This committee arranges for and coordinates interviews before and during the show. 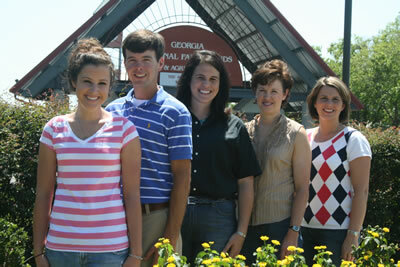 This committee works with the American Angus Association’s public relations department in performing these duties.